Next How Many Drinks Does It Take to Make a Raymond Carver Story? Today marks the 162nd anniversary of Russian master Nikolai Gogol burning his unfinished pieces as he lay dying. Below, we take a look at 10 of the best incomplete works from titans of literature — novels and poems that were posthumously completed by others, and works which have been published in their draft state. The best part: All of them can be read online for free! “Tell me, have you, of late years, lost many of your peasants by death?" Gogol had a keen ear for the ordinary absurdities which made up Russian life. Dead Souls is his grimly funny tale of Chichikov, a rural chancer concocting a macabre plot to purchase deceased serfs from their owners. 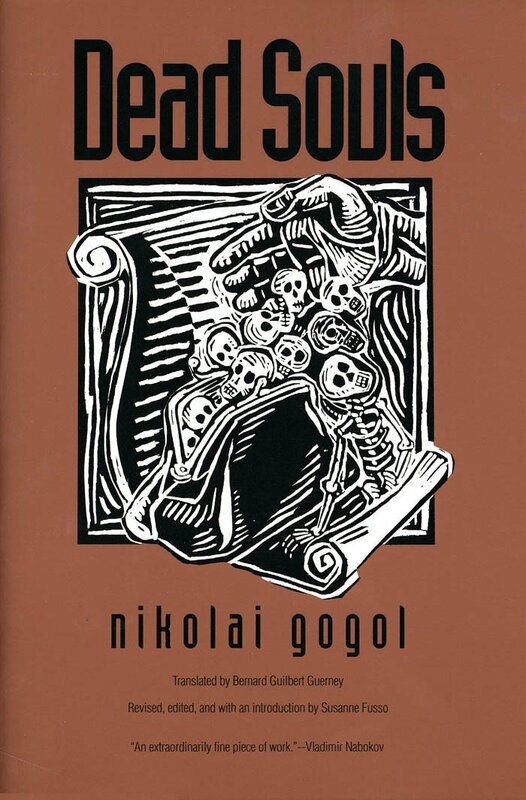 Released to huge acclaim, Gogol intended the book to be the first part of his reinterpretation of Dante’s Divine Comedy. Ill-equipped to deal with his sudden elevation to literary stardom and suffering from severe depression, Gogol spent his remaining years zig-zagging erratically across Europe and the Middle East. In February of 1852, suffering from what may have been a psychotic episode, he burned the second part of the work, an act he immediately regretted. He died just nine days later. Their origins, and the stars that set beneath the earth and rise. Receiving with favour the homage I pay you. Ovid had a tortured relationship with the Roman authorities. Like his contemporary Virgil, he was celebrated during Augustus’ reign — until he was exiled by the emperor in 8 AD. History doesn’t record why he was banished, although we do know he associated closely with a clique accused of a treasonous plot around the same time. In his new home of Tomis (modern-day Constanta in Romania), the unlucky poet wrote morose verse lamenting his distance from Roman life and his lack of library access until his death in 18 AD. His Fasti (“Feasts”) are his final unfinished work. Intended to eventually describe all 12 months of the Julian calendar, the surviving portion of Fasti comprises six poems detailing the rituals and religious observances of the first half of the year. Tinged with Ovid’s melancholy for the life he’d never return to, the collection remains an invaluable historical resource on Roman religious practices. … a labourer who all his life performs one and the same simple operation, converts his whole body into the automatic, specialised implement of that operation. There is possibly no other book which is as often referenced and as seldom read. Capital requires a serious investment of time and energy from its reader, and it asked a lot of its author, too. Marx was not even close to finished with his titanic treatise when he died of bronchitis in 1883. Volumes II and III, published posthumously, were pulled together from Marx’s notes by his Communist Manifesto co-author Friedrich Engels and were published in 1885 and 1894 respectively. Most of Dickens’ work was originally published in serial form. The first half of The Mystery of Edwin Drood was published between April and September 1870, with Dickens working on it up until the day before his death that same year. The master storyteller often undertook reading tours where he’d read installments out loud to paying audiences, and in the fall of 1868, frail and suffering from fits, a 56-year-old Dickens set out on the morbidly monikered “Farewell” tour. Contracted to undertake 100 readings, he managed 87 before the relentless schedule took a further toll on his health. He was hospitalised in April 1869, but under pressure from the tour’s promoters, he resumed giving readings despite grave warnings from his physicians. He died in June 1870, his health broken. Drood is a genuine Dickens murder mystery. It remains unfinished, so decide for yourself who the culprit is! James maintained a punishing work routine throughout his adult life (though he dictated all of his later novels to a dedicated amanuensis, Theodora Bosanquet, which may have eased his burden slightly). Begun in 1914, The Ivory Tower was published the year after his death in 1917. Like all of James’s work, it’s a novel built from the densest prose, but its tale of two elderly magnates and the corruption wrought by their ill-gotten wealth is today perhaps more relevant than ever. In this Island dwells three Philosophers—Suction, the Epicurean, Quid the Cynic, & Sipsop, the Pythagorean. I call them by the names of these sects tho the sects are not ever mentiond there as being quite out of date however the things still remain, and the vanities are the same. the three Philosophers sat together thinking of nothing. An Island in the Moon strikes a more playful, light-hearted note than Paradise Lost or Songs of Innocence and of Experience, but it’s still a very challenging read, densely thicketed with esoteric classical references and archaic turns of phrase — and it’s very obviously unfinished. Ostensibly a collection of debates and conversations between quasi-supernatural characters discussing the nature of reason and thought, scholars are divided as to Blake’s broader intention: Was he satirising the empty windbags of London’s literary scene? Or was he attacking the vapidity of the culture of the day? Dive into the poem yourself and make your own mind up. My mother was a Lambton—Lambton with a p, for some of the American Lamptons could not spell very well in early times, and so the name suffered at their hands. She was a native of Kentucky, and married my father in Lexington in 1823, when she was twenty years old and he twenty-four. Neither of them had an overplus of property. She brought him two or three negroes, but nothing else, I think. They removed to the remote and secluded village of Jamestown, in the mountain solitudes of east Tennessee. There their first crop of children was born, but as I was of a later vintage, I do not remember anything about it. I was postponed—postponed to Missouri. Missouri was an unknown new state and needed attractions. Twain led a life as varied and rich as any of his protagonists, working at different times as a miner, a riverboat pilot and a tech startup investor (seriously). Rather than set down his life chronologically, he attacked his autobiography in fits and starts, looking to “talk only about the thing which interests [me] for the moment.” (And talk he did: Like James, he dictated his thoughts to a stenographer.) This scattergun approach meant much of Twain’s life remained uncovered by his Autobiography at the time of his death. As per his request, the first volume was only published in 2010, on the centenary of his death, and volume two came out in October of last year. Critics labelled Volume 1 “a powerful argument for writers’ burning their papers” and “a disjointed and largely baffling bore,” but it sold over half-a-million copies. Twain, a tireless self-publicist who was often at loggerheads with contemporary commentators, would have approved. I was astonished to discover that The Canterbury Tales are considered unfinished, but a careful reading of them yields several clues: the brief “Cook’s Tale” is actually the prologue of a longer, unfinished story, and “The Plowman,” introduced in the general company, has no story of his own. Although the Tales criticise the Church and English society, Chaucer was no anti-establishment intellectual; he held several prestigious royal posts, including an appointment as Clerk of the King’s Works, a kind of overseer to Richard II’s construction projects. Chaucer died of unknown causes in 1400 before finishing the Tales, but his writing was overshadowed by his contemporary reputation as a civil servant. His service to the Crown entitled him to be interred in Westminster Abbey, where his body lies to this day, next to Shakespeare. Twenty-three tales remain extant, though some philologists believe Chaucer intended to write 120 in total. … even now, at the zenith of my life, I can scarcely pass an hour in complete tranquility; at that one point in the dark moss I am vulnerable, and in my dreams I often see a greedy muzzle sniffing around it persistently. None of Kafka’s work was published before his death in 1924; he was equivocal about his writing talent and wasn’t sure whether finished works like The Trial and The Castle merited publication. Regarding his unfinished work, he left detailed instructions for its fate: It was to be burned. His wishes were completely ignored by his agent and friend, Max Brod, and The Burrow, a typically allegorical short story about an unnamed narrator hiding from the world underground, was published in 1931. Read it and feel the great thinker’s unapproving ghost at your shoulder. To spare the conquered, battle down the proud. 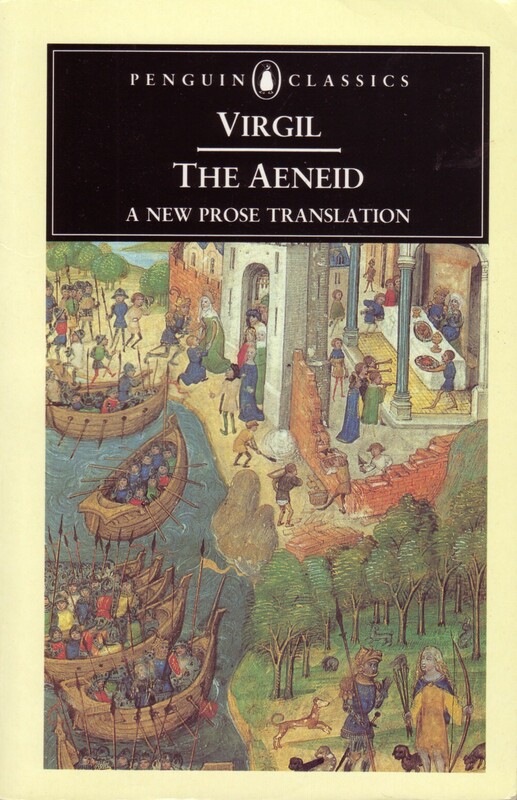 Virgil’s Aeneid is the story of the founding of Rome, his attempt to legitimise the Roman state’s origins and the rule of his patron, Augustus, by drawing a direct line from Rome to the great civilisations of the past — namely from the Trojan Aeneas wandering from his fallen city to Italy via Carthage. Virgil died before he could completely finish The Aeneid, succumbing to a fever in 19BC - many of the poem’s lines remain unfinished, suggesting he had not finished editing it before his death. Setting a trend that many writers after him would follow, he left deathbed instructions that it be burnt. Writers typically leave behind a large amount undone when they die, but do we have a right to read it? Some authors, like Twain, are quite aware that their legacy will see posthumous publication; others (Kafka and Virgil, for example) leave instructions that their unfinished manuscripts be destroyed. Often these wishes are ignored by their executors and families, whether due to the commercial potential of work from a famous name or a desire by those left behind to preserve the legacy of a genuine talent. Perhaps those possessed of the kind of talent literary talent which can endure for generations should accept that their work — unfinished or not — will take on a life of its own. After all, isn’t that what great writing does? Patrick Kilkelly writes about culture, travel and music. A Ph.D. candidate at London University’s School of Oriental and African Studies, he reads more about 19th century Korean grain tax reform than is healthy. The Mount is claimed to be the site of various ghost-sightings; why are some canine-related? The Savage Detectives by Roberto Bolaño thrust these poets into the mainstream, but who were they really? Vera Nabokova, Sophia Tolstaya, Anna Dostoyevskaya and Natalia Solzhenitsyna — suffering and child-rearing, while acting as wife and secretary to genius. FOLLOW BLACK BALLOON PUBLISHING ON TWITTER, FACEBOOK, GOOGLE+, TUMBLR AND PINTEREST.